Christmas has come early! Tony winner Jane Krakowski will play Miss Shields, the teacher of nine-year-old Ralphie Parker, in the upcoming live TV presentation of A Christmas Story. Broadway alum Chris Diamantopoulos has also joined the cast, portraying Ralphie’s dad. The musical event will air on December 17 at 7:00pm EST on Fox. Jane Krakowski is a Tony winner for Nine who most recently appeared on the Great White Way in She Loves Me. Her other Broadway credits include Starlight Express, Grand Hotel, Face Value, Company, Tartuffe and Once Upon a Mattress. Krakowski is a five-time Emmy nominee for her work on 30 Rock and Unbreakable Kimmy Schmidt as well as a Golden Globe nominee for Ally McBeal. Chris Diamantopoulos recently appeared on Broadway in Waitress. His other Great White Way turns include roles in Les Misérables and The Full Monty. Diamantopoulos' small-screen credits include Silicon Valley and Good Girls Revolt. He received an Emmy nomination for voicing Mickey Mouse on the eponymous animated series. 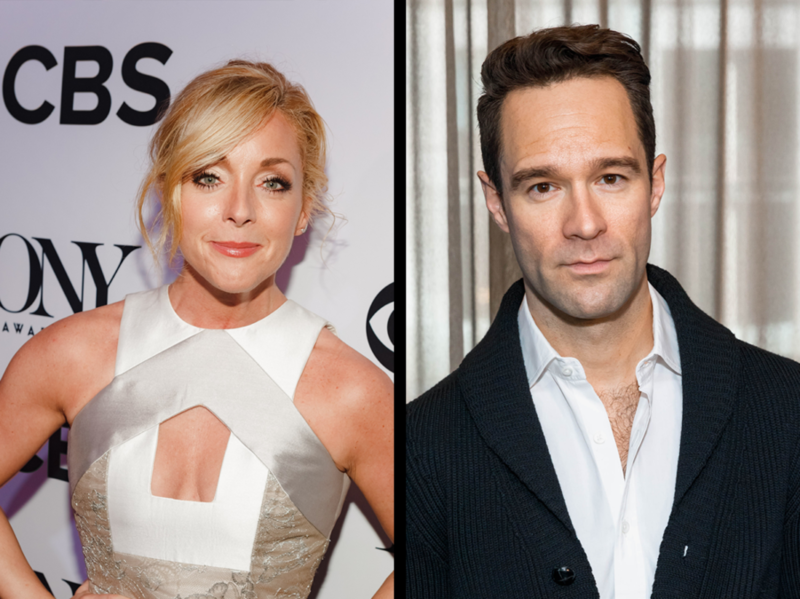 Krakowski and Diamantopoulos join a previously announced Christmas Story Live! company that includes newcomer Andy Walken as Ralphie, Emmy nominee Maya Rudolph as Ralphie's mom and two-time Tony winner Matthew Broderick as the narrator. A Christmas Story Live! is inspired by the holiday classic feature A Christmas Story and the Tony-nominated show A Christmas Story: The Musical. The TV adaptation will be filmed at the historic Warner Bros. Studios in Burbank, CA. Jonathan Tolins and Robert Cary are penning the script for the adaptation that features the Tony-nommed score by Dear Evan Hansen songwriters Benj Pasek and Justin Paul along with new songs penned by the pair. Scott Ellis will serve as the director for A Christmas Story: Live! with Alex Rudzinski as the live television director. The roles of Miss Shields and Ralphie's dad were originated on Broadway by current Anastasia stars Caroline O'Connor and John Bolton, respectively.